Eesti Raudtee will closely collaborate with other railway companies and will participate at meetings with relevant working groups in the European Union. “We will move forward with the modernisation of the infrastructure traffic management systems and prepare for major projects to be implemented in the coming years. This market research is a good prerequisite for fulfilling our goals,” Maia Sokk, Innovation Manager at Eesti Raudtee said. Currently, the share of switches and block points with centralized management on the railway infrastructure reaches 67% and the implementation of the ongoing modernisation project for West-Harju traffic management is expected to increase to about 80%. 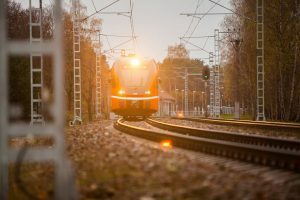 The modernization work of the West-Harju project includes the installation of traffic control systems on the Tallinn-Keila-Paldiski, Klooga-Kloogaranna and Keila-Riisipere railway sections and their interconnections with external railway branches. For this project, Eesti Raudtee and Mipro Oy signed in July 2018 a EUR 16.5 million contract. On 31st of January 2018, Estonian Ministry of Economic Affairs and Communications sent DG Mobility and Transport the national Plan on the technical specifications for interoperability relating to command-control signalling subsystems of the rail system in the rail system in the European Union, taking into account the economic viability of the rail system. The installation of a new signalling system on Estonian railway infrastructure requires upgrades and modernisation to reach modern standards. The deployment will boost safety and efficiency an in the same time will reduce the costs.